Some people want jet packs. Me? I dream of a world where the travel receipts I collect on business trips automatically add themselves to a spreadsheet that sends itself to my accountant in plenty of time for tax prep. Alas, that’s not to be. Yet. Instead, receipts end up crammed into my wallet, in the cup holders of my car, or, once in a while, in the accordion folder I bought to house them. And once a year, I sit on the floor with a calculator, receipts all around, and add them all up. Weeping. Related: Business Meals: Are We Having Fun Yet? Though, yes, I may be an extreme version of receipt disorganization, I have yet to meet a single entrepreneur who hasn’t cursed a cardboard box overflowing with receipts. With the horror of recent tax prep still fresh in my mind, I wanted to find an easy-to-use receipt organization system that I would stick to at home or on the road and that would allow me to deal with each receipt once and be done with it. Which leads me to Neat. 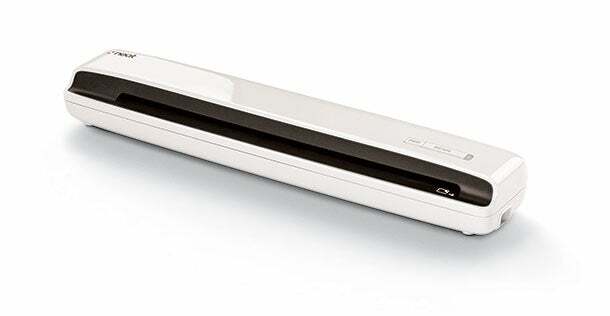 As a receipt scanning veteran, I liked that its streamlined scanners ($180-$400) didn't have any parts that would snap off in my computer bag. And since the digital filing firm had added a free scan-on-the-go app and cloud service (plans from $6-$25 per month) to its line of streamlined scanners in July, I figured it was time to see if its collection of products would turn my jet pack receipt dreams into reality. I chose to give the Neat products a run over portable receipt scanners like the Fujitsu ScanSnap and Brother DSmobile, because I wanted a full complement of hardware and software products and didn’t want to cobble them together from several companies or do too many workarounds. Working on the road offers enough challenges. Our reality: The system is easy to install. Just load the software, plug in the portable scanner, sign up for the cloud service and download the app. Once finished, the tools were so intuitive, I barely needed to check the directions. I was happy to see Neat offers plenty of video tutorials and FAQs that make it easy to customize the system and compile reports when it’s time to file. But not all of my travel receipt info flowed into the database correctly, requiring some double checking of the system’s optical character recognition software, the tool that converts scanned copy into electronic, editable text. A Neat spokeswoman acknowledges that the “OCR and parsing technology is not 100 percent accurate.” Not keen on double-checking? The company offers NeatVerify, an add-on service (roughly $5-$9 per month) that puts the double-checking onus on the Neat staff. And though it makes me sad to say, the NeatMobile app needs some work. After downloading the app and taking a photo of your receipt, you can’t edit the info within the app. So, if there are any mistakes, you have to wait until you’re back at your computer to finish the task. That’s one step too many. For now, I’ll just keep putting my receipts in my wallet and, fingers crossed, feed them into the portable scanner at the end of every workday. I will keep my eye on the app. The Neat spokeswoman says “a significant update for NeatMobile is expected to be released in early summer.” As soon as it allows on-the-go editing, I’m all in.